FORM Ltd. was founded in 1987 by partners John Leontiou and John Waters. John Leontiou conducts sales and leads the design team, while John Waters coordinates construction and project development. We are a full service company. From demolition to professional installations and everything in between, we manage every aspect of the job. We have earned a reputation for our high-quality creative designs, construction and service. Lasting relationships we’ve established with tradesmen and artisans ensures you will have the very best experience from start to finish. In an effort to make the most of every space, we review each cabinet to optimize storage and functionality. We work with homeowners and/or their designers to select styles and finishes as well as all the other materials and details associated with the job, including tiles, countertop, appliances, hardware, flooring material, etc. We pride ourselves on offering a comprehensive suite of services to our clients. We start with multiple conceptual designs, exploring a variety of different ways to configure the space for your project/renovation. Once the design is selected, we produce final detailed construction drawings, including electrical plans, lighting diagrams and plumbing schematics. From demolition to detailed millwork, Form Ltd. approaches every project with the highest-level professionalism and a commitment to customer service unrivaled in the industry. We can do the job in its entirety or we can collaborate with your architect, contractor and tradesmen. Our goal is to exceed our clients’ expectations. Every detail can be customized to suit your wants and needs. Our designers can help you create a unique and functional design to make the space of your dreams become a reality. 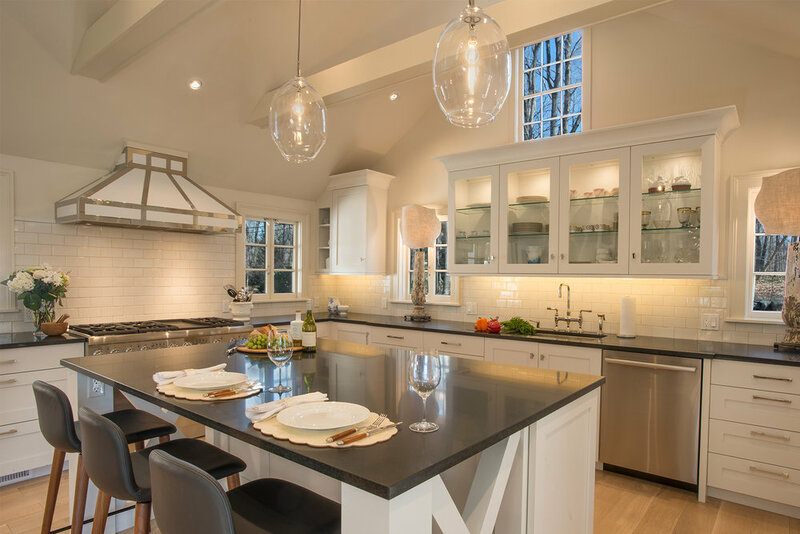 Whether you are in the Greenwich, CT or even Westchester County area in New York, the team at Form LTD Kitchen and Bath Design will be happy to help you! We provide kitchen remodeling, bathroom remodeling, and other home renovation services.